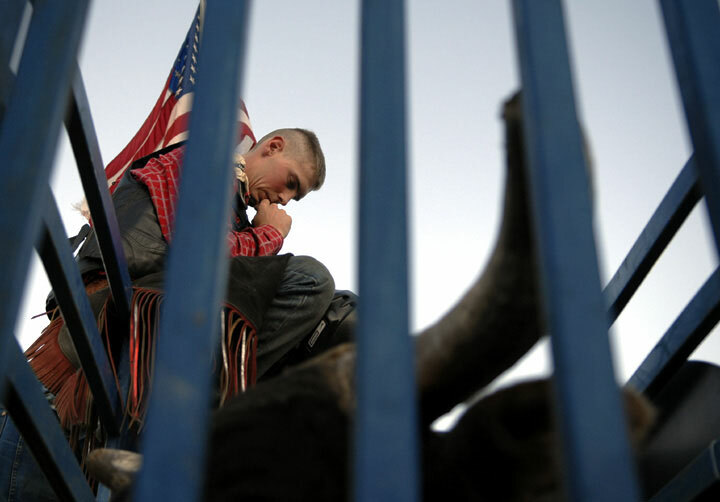 Derek McCormack, with the Professional Bull Riders Discovery Tour, prays in the chute before riding a bull at the Yuba-Sutter Fairgrounds. Chris Kaufman is an award-winning photojournalist based in Northern California. Ever since taking a high school photography class, he has been dedicated to documented the world around him from an honest and unique perspective. Chris attended California State University, Chico, where he captured campus life for The Orion newspaper. From 1994-2000 he worked at the Enterprise-Record in Chico. Since 2000, he has worked for the Appeal-Democrat in Marysville. He also does freelance work for magazines and other clients. His work has been recognized with awards from the Associated Press, National Press Photographers Association and the California Newspaper Publishers Association. Last Splash for Olivehurst Pool?